Willie Faye Harris was born on February 27, 1948, in Dallas, Texas. Surrounded by her loving family, she transitioned to eternity with her Lord on August 18, 2018, in Garland, Texas. Willie graduated from Garland High School in 1966. She went on to enjoy a life-long career at Boeing where she was an inspector and at St. Jude Hospital. Among many hobbies, Willie enjoyed shopping; she loved purses and bracelets. Affectionately regarded as "Mama Faye", Willie had a heart for people. Especially during holidays, family and friends alike gathered at Mama Faye's, as she genuinely cared for family and friends. Willie was a faithful member of Extended Life Church of God in Christ where she served under the leadership of Pastor Calvin Harris. Willie was predeceased by her son, Willie Charles Harris; father, Willie Wright; brother, Mark Wilder; brother, Jeffory Wilder; brother, Marshall Wright; and sister, Gwen Goodson. 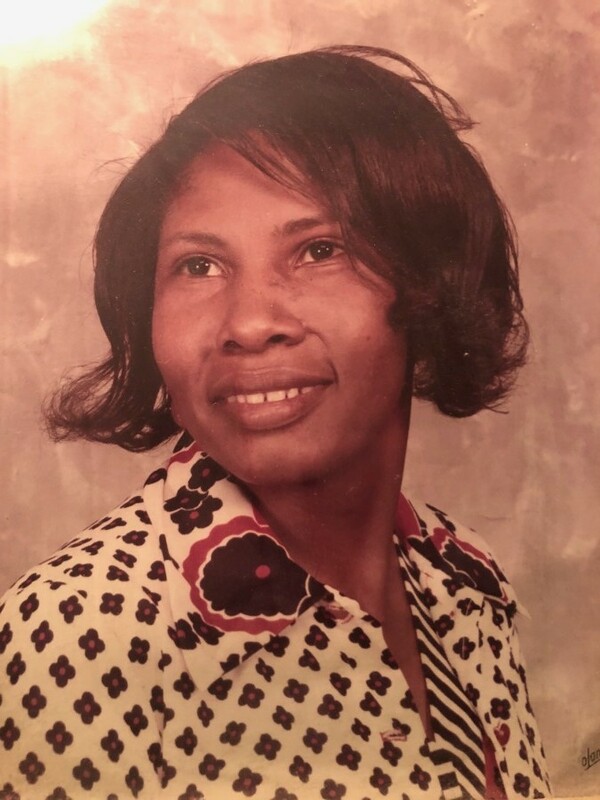 Those left to cherish precious memories include her husband, Willie H. Harris; daughter, Velonda Harris; son, Sidney Harris; daughter-in-law, Trina Harris; grandchildren: Kendra Adigun (Olasunkanmi), Aubrey Harris (Toni), Antwaun Harris, and Markietha Harris; great-grandchildren: Nolan, Amaiah, Elijah, Aubre, Kylee, Markell, and Angelina; mother, Betty Faye Davis; sister, Georgia Winkfield; sister, Mary Blair; sister, Glenda Leffall; sister, Shirley Jones (Henry); brother, Bobby Foreman (Brigette); brother, David Wright; brother, Billy Wright; brother, Dwight Wright; and a host of other relatives and friends.